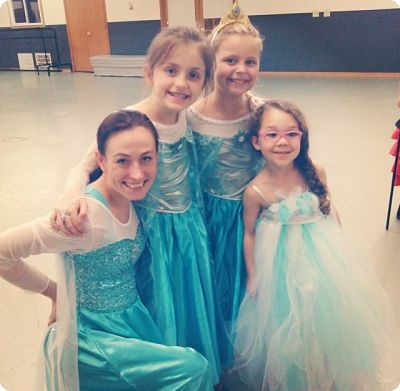 Let NDA host your child's Birthday Party! 45 minutes of dancing, fun and games and 45 minutes of cake, ice cream and opening presents- then leave the clean up to us! PLUS- each guest gets a take home gift from NDA! $85 for up to 12 guests! Each additional guest over 12 is $3. Who doesn't want to hang upside down on their birthday with 8 of their closest friends!? 2 hours at NDA learning tricks, drops and more! 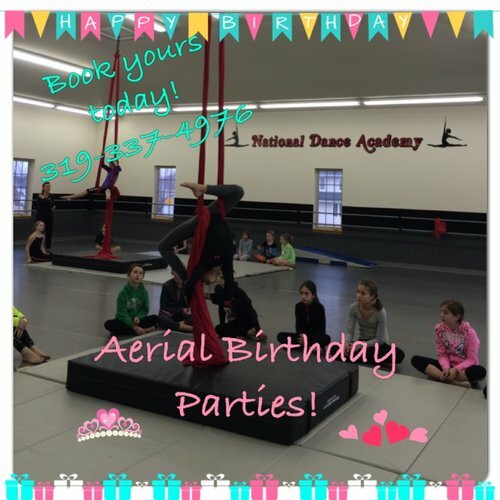 Includes 1 hour and 15 minutes of aerial dancing, tricks and more and 45 minutes of cake, ice cream, presents and more. Plus... Each guest goes home with a special gift from NDA! Have more than 8 friends? No problem, $3 each additional friend.